The structure indicated is the gluteus minimus. Origin: Dorsal ilium between inferior and anterior gluteal lines and edge of greater sciatic notch. 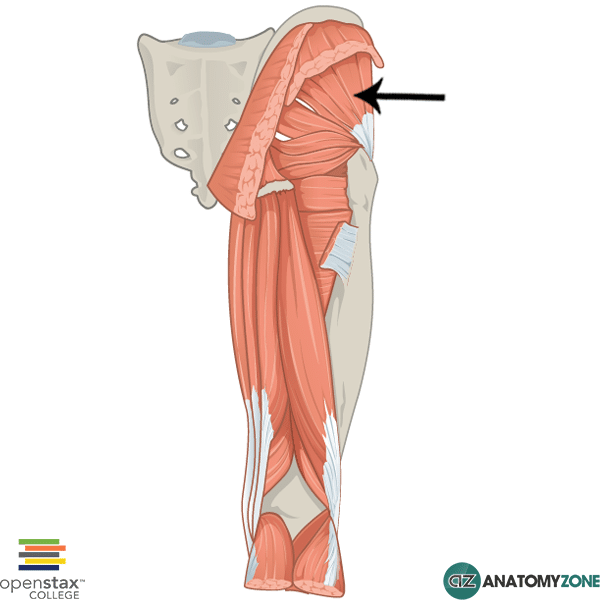 Learn more about the anatomy of the gluteal muscles in this tutorial.